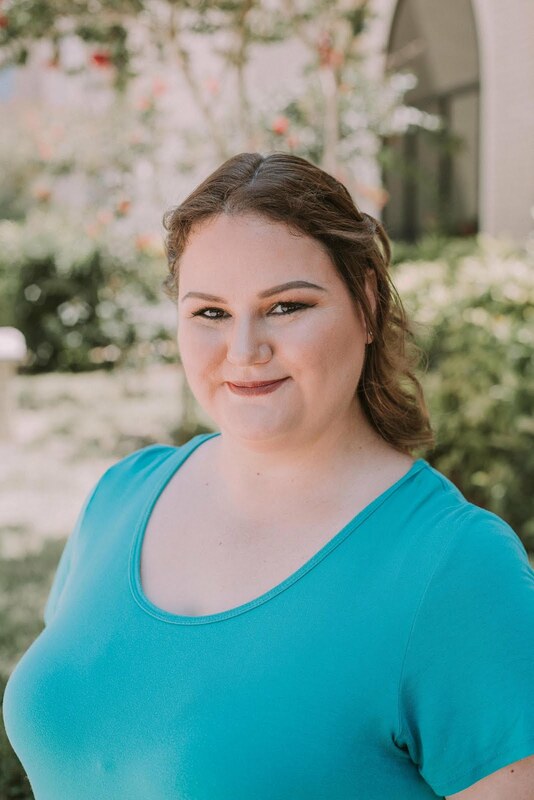 Today I stopped by CVS/pharmacy after seeing Extreme Makeover: Home Edition and how much they donate to charity, and wanted to check out the drugstore finds that they have there. Sally Hansen had this display for the "complete Salon Manicure" system which claims to be a 5 in 1. What? Top coat, strengthener, growth treatment, color AND a top coat? And just $7.99? This sounds way too good to be truth. Well, kinda. First off, I kind of hated the brush. 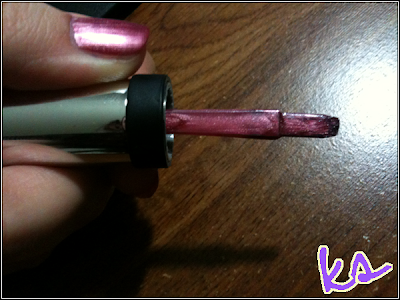 The actual brush is very broad for the neck of the bottle, but also very short. So it's super hard to get excess polish off the brush until I got the hang of it. However, the broad brush did allow for very few brush strokes, which I did enjoy. Raisin the Bar is a shimmery pink with a hint of gold - sort of a light dusty rose. I did use two coats for full coverage, and while it took longer to dry than a coat of Seche Vite, it was set within about 10 minutes. 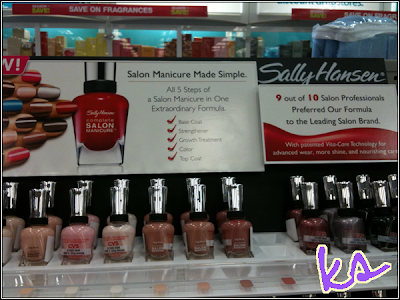 Sally Hansen [official website] can be found at several stores including CVS/pharmacy [official website].